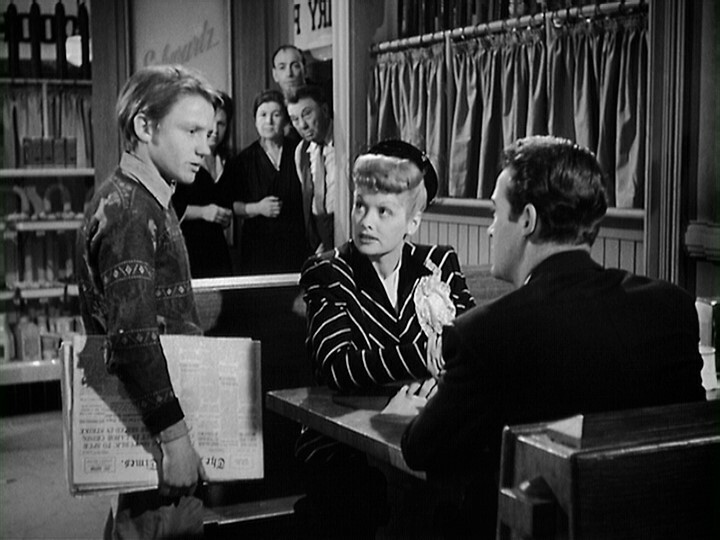 I’ve truly been enjoying the discovery of Lucille Ball films that pre-date her more famous comedienne years. 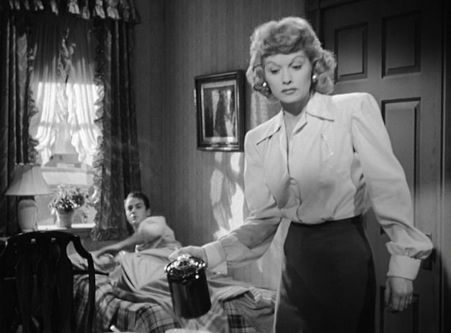 I stumbled upon an early Douglas Sirk melo-noir called Lured that has somehow slipped through the cracks (my review here). 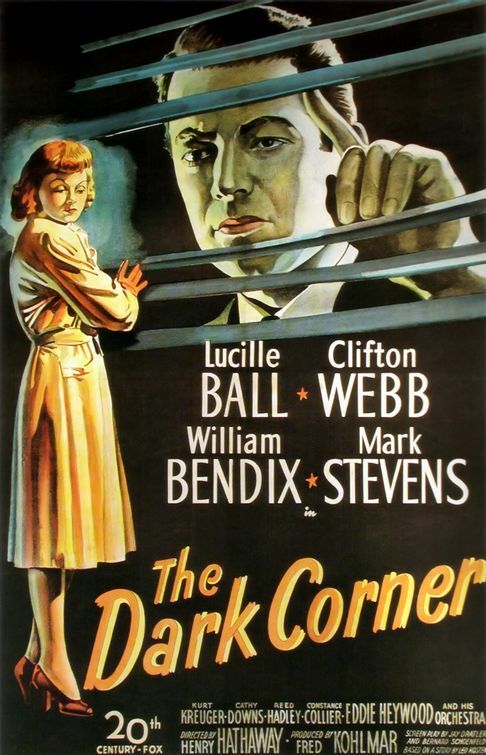 Where that was decidedly dark and broody, The Dark Corner is a classic private detective noir. It isn’t the fast-talking slapstick of a Thin Man, it is more fast-paced and light than, say, The Big Sleep. And very well-written. Private Eye Bradford Galt (Mark Stevens) is being followed by a ghost form his past. When a hooligan turns up dead, the police look to him for answers. When they find no other suspects, their attentions turn to Galt — but his witty secretary (Ball) takes his side and helps him find the real killer. Ball plays her character with a combination of sassy yet vulnerable that other famous noir bombshells didn’t manage to achieve. Perhaps it was the exacting director, Henry Hathaway, that brought out the best in her, and the rest of the cast, including post-war regular William Bendix. Hathaway (himself underrated) has a list of noir thrillers that stand out above the genre, including 14 Hours and Niagara. This film revels in deep-focus photography (see above) making the entire city and its inhabitants a part of the unfolding mystery. Passersby by are part of the scene, not movement in the background. These extra layers make The Dark Corner gritty, lively and more realistic.